Google Sheets vs Microsoft Excel: which is better in an online meeting? Web conferencing allows businesses and institutes to conduct efficient meetings in an online environment, saving time and money, and increasing productivity and opportunities for collaboration. Professional web conference platforms come with tools which allow you to share and edit documents in real time, including spreadsheets. 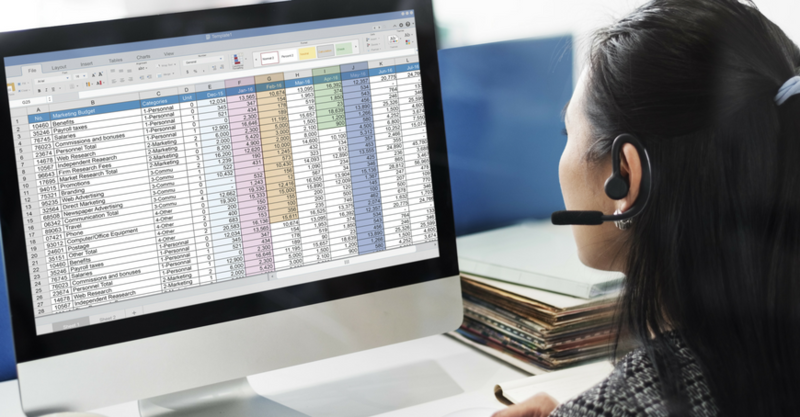 If you want to use spreadsheets in your online meetings, there are two main programs to choose from at the moment - the well-established industry standard Microsoft Excel and the emerging competition, Google Sheets. Both programs are similar in their uses and applications. They are both capable of handling data and mathematical formulas, and both will get the job done, yet each has its own advantages and disadvantages. Which one you should use will depend on your online meeting. Let’s take a look at some of the differences. One of the key differences is that Google Sheets is a cloud-based app, whereas Excel is software which is installed on the computer itself. As a result, Sheets needs fast internet to function quickly and without flaws. Any fluctuations in the internet strength could cause the app to slow right down, as can dealing with masses of data. Excel, on the other hand, can function swiftly and handle hundreds of thousands of records with ease. If the strength of the internet connection is an issue for any of your meeting’s participants, or your spreadsheet will contain more than 10,000 rows, Excel wins on performance. Google Sheets can handle thousands of rows of data effectively and can perform complex calculations and formulas, just not quite as well as Excel can right now. Excel is designed for handling upwards of 100,000 rows, and it can deal with formulas so complex that you can pretty much do anything you want to the data. It also allows you to make your own program extensions, and offers more options for graphs and charts. When it comes to data processing and complex formulas, Excel is the number one tool. Google Sheets is capable, but if you want to get really serious with data analytics then go with Excel. This is where Google Sheets really comes into its own as a tool for web conferencing and online meetings. Sheets allows you to share, view and edit the spreadsheet in real time. You can leave comments and chat, and make revisions which are neatly recorded. As a collaborative tool to improve team productivity, Sheets is the winner. Excel offers the ability to leave comments but chat is still not an option. Google Sheets is perfect for real-time collaboration, as it has a much easier interface and many features for use in an online meeting. If you don’t need the technical complexity or performance power of Excel, this could give Sheets the edge. 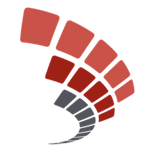 Add-ons can be used to enhance the program or create new functions. Excel has a total of nearly 300 add-ons, many of which are useful for financial management, sales and marketing. Sheets currently has only 50 add-ons, most of which are business productivity tools. Excel is a well-established program that has been around for longer, which is probably the reason it has so many more add-ons than Sheets, but Sheets will probably catch up in the future. Google Sheets does have some other nifty features, including cloud storage, allowing your spreadsheet to be stored and accessed from a single, safe online location. It also has better support for Mac, and better Google and internet integration. For example, with Sheets it is possible to import data from Google Finance. If you need to do something in an online meeting which requires an add-on, you can search for it and see which of the two programs offers an add-on which will help you achieve your goals best. Google Sheets is available for free to individual users. If you want the full business program, then the cost is $5/user/month. Excel has no free package, but does come with Microsoft Office, which your company might already have. If not, the cost is $230 for a perpetual licence fee and $8.25/user/month. If you use OneDrive for collaboration, this will set you back another $4.25/user/month. Sheets is available for free, but both have monthly costs for the full package. If you already want or need Microsoft Office, then this makes the most sense financially. As the industry standard, it is also worth considering that many clients and partners may already have Excel, and staff may not need training on how to use it. Google Sheets – when you don't need the most powerful data processing tools, when internet speed is not a problem, and when you want to make the most of the real-time collaborative tools and cloud-storage. Excel – when you want to work with the industry standard tool for data processing, you are dealing with a large number of cells and a lot of formulas, and when real-time collaboration is not important in the meeting.